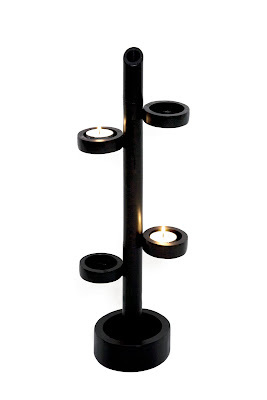 The candle stands which made with bamboo. Usually the bamboo stand made with metal to prevent from burning the stand, and the innovation is from the using the materials to be bamboo. Due to the paint with color and the bamboo need certain of the time to make it on fire, so, it’s still a safe option as compare with ordinary wood made materials. And the design allows putting only the candle with the meal cover too. And such design is naturally base on the outlook and structure of the bamboo to make it to be the candle stand, so, it comes even more imagination space.